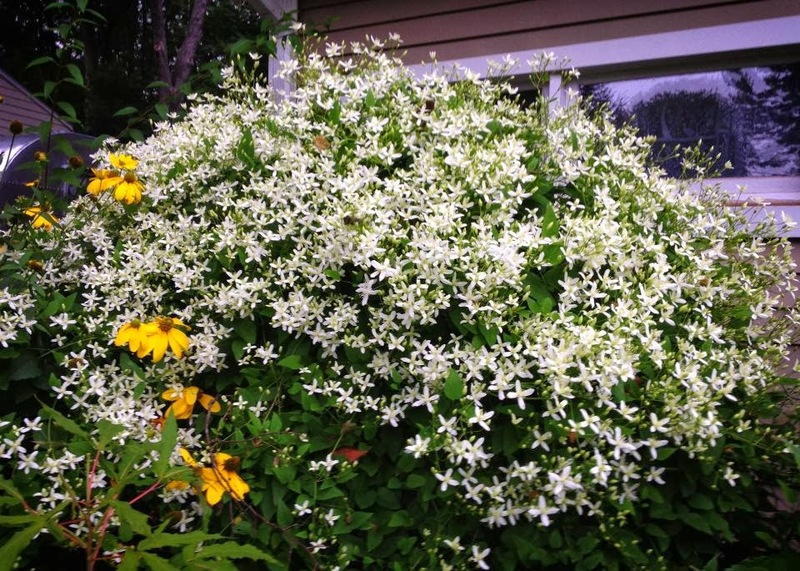 My favorite (but short-lived) later-summer flower is the Sweet Autumn Clematis. This year it spread throughout the front trellises, mingling with the hydrangea and the honeysuckle. The best part is that when I look out the front window, I not only see the sky but a low border of the white flowering vine as well. I can't pinpoint why I like this flower as much as I do. Maybe it's a signal of the coming fall weather, or just its ambitious nature. Or maybe it's just one of those flowers that makes me pause to admire its beauty.